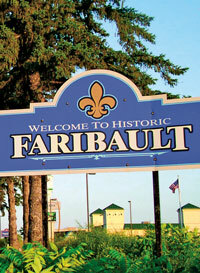 Faribault is a city of great experiences set along the beautiful Lake Country of Southern Minnesota. The Faribault area serves as a perfect year-round backdrop for a refreshing vacation or family outing. The relaxed lifestyle and picturesque surroundings draw many people to Faribault. Whether it be the lakes, nature, history, shopping or recreation, they all combine to make Faribault a perfect place to live or visit.